16 March, begin the process of revising the Constitutions and Directory, a very meaningful task for the entire Congregation in this sexennium. Dearest sisters, 16 March is approaching, the day on which we shall celebrate the 111th anniversary of the final approval of our Constitutions. It was with great joy and consolation that our Founding Father informed the Congregation about their approval, inviting the sisters to “give thanks to the Lord for everything and try to be very diligent in complying with the […]Constitutions, approved and blessed by our Lord, in the person of his vicar on earth”. As you were informed in the last circular letter, we chose this date to begin the process of revising the Constitutions and Directory, a very meaningful task for the entire Congregation in this sexennium. 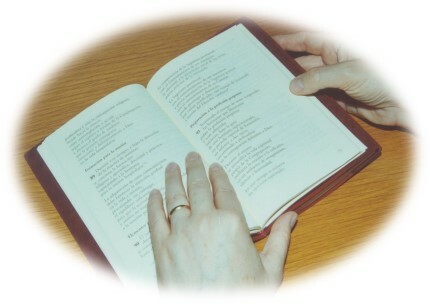 We are seeking not only to make some changes to adapt them to the present-day reality, but also to revisit our “Book of Life”, to revitalize our vocational identity as women who have consecrated their life to Jesus, witnesses of his compassion and mercy for the sick and all those who suffer. I would now like to address each and every one of you to share a few reflections that might help us to face the journey that we are about to begin as an opportunity for personal, community and congregational revitalization, a true conversion, like the one that Pope Francis asks of the entire Church in Evangelii Gaudium: “devote the necessary effort to advancing along the path of a pastoral and missionary conversion […], ecclesial conversion as openness to a constant self-renewal born of fidelity to Jesus Christ; […] undertake a resolute process of discernment, purification and reform”. In this proposal, we find the main characteristics of the journey that lies ahead, a journey which, in a spirit of creative fidelity, impels us to “revisit” our Book of Life, the synthesis of an itinerary following Jesus according to the charism of Hospitality, and “a reliable criterion in their search for the appropriate forms of a witness which is capable of responding to the needs of the times without departing from an Institute’s inspiriation”. I will now try to deepen each one of the elements of the proposal, and stress some aspects which are crucial in order for us to achieve the desired results: the revitalization of our vocational identity.